"esos son los que se quedaron"
On the evening of Chavez 2006 reelection I did write a wistful note that somehow made it to the Wall Street Journal. Then this blog was in the news as the other news were not yet on all of Chavez horrors. Years went by, the news caught up and thus I could become again an amateur blog, more a stream of consciousness than a true need to inform the world. 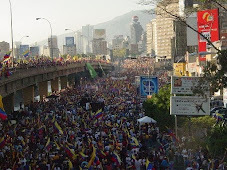 Can Sakharov save the Venezuelan opposition? Well, that was faster than expected. Today's events remind me a little bit of that type of horror movie which starts with some bloody body(ies) and a mysterious shadow drifting away. Heck, sometime the alleged assassin is shown knife in hand. No matter, after this initial screen you read something like "2 weeks/days/hours earlier" over a background of happy cheerful people that you cannot warn about what is to befall on them. Thus you need to wait until the end of the movie to figure out who was the shadow or if the alleged assassin was just set up to look so. 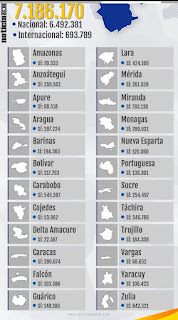 Today Accion Democratica (AD) secretary Henry Ramos Allup (HRA) decided to have his 4 elected governors swear in front of the unconstitutional constitutional assembly (AC) and thus within a single hour he 1) legitimizes the AC 2) voids years of opposition (MUD) efforts 3) wrecks its unity and 4) creates an image overseas that there is no need to worry about Venezuela anymore, either it is a democracy after all, or the opposition is not worthy of rescue so let them deal with their own mess. How did we come upon that political horror scene? Back to early July 2017. Ha circulado con amplitud por Internet un articulo de Milagros Socorro donde se queja del regaño que el secretario de la OEA, Luis Almagro, le ha dado a la dirigencia de la MUD. Pues a pesar de que este blog ha expresado su admiración por la acuidad de Milagros Socorro, esta vez no solamente difiero de su opinión, pero me siento obligado a responder. Brevemente el argumento de Milagros se refiere a que toma de una manera algo personal la declaración de Almagro, como si este hubiese incriminado al elector venezolano por haber ido a votar. No lo entiendo así. Thus we are reeling from another election that the regime "won" using any public money it could scarp to gain advantage. But in this era of low oil prices, and low production, reality is catching up fast. No honeymoon break. First this news that PDVSA will not be able to use a termina oil, the one in the island of St. Eustatius. Why? They owe 26 million dollars. When a major oil company cannot pay 26 million dollars of docking fees you know that something is deeply wrong. The one a Friday ago was 29,173, but who cares if the drop in one week was around 30% of its value. No? And yet the electoral machinery of the regime was so powerful that it may well have "won" the election. While the opposition logistic mess (so far this is what we see) may or may not prove electoral fraud (that fraud exists from before election day, so there is electoral fraud no matter what) we can only look at some glaring inconsistencies. Ya es tiempo que usted se retire y le deje el puesto a otro. 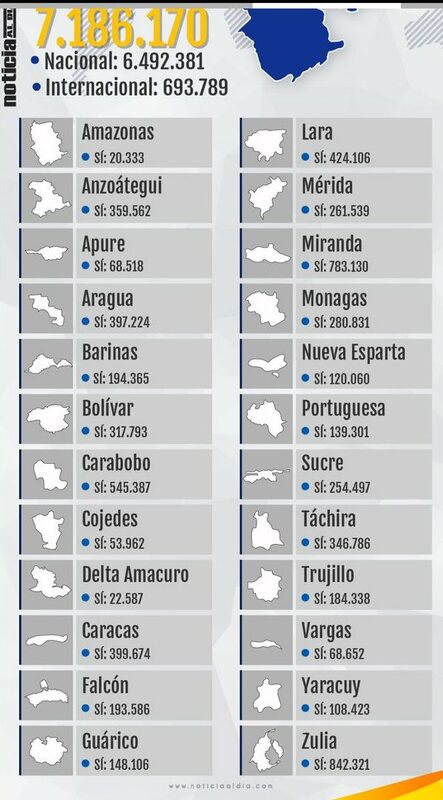 Si bien en el primer año de la nueva Asamblea Nacional usted pegó algunos éxitos de taquilla resulta al final que usted no logró nada concreto y, peor, manejó muy mal la renovación de dos rectoras del CNE. Ayer hemos pagado eso muy caro. Pero la razón verdadera por la cual usted debe retirarse es que por tercera vez usted un culpable importante, sino principal, de una debacle de la oposición. I knew that the regime would forge results, would commit electoral fraud, but what happened tonight is grotesque. Venezuela has to be the ONLY COUNTRY IN THE WORLD where food scarcity, severe lack of health care, near hyperinflation levels, major street violence, living under curfew, no hope in hell for whatsoever, and the government GAINS votes. No kidding, researchers from the entire world should flock to Venezuela in the next days to study that miracle of politics. Books will be written about on how to win elections by screwing up people. This is enough to claim electoral fraud. Since September 14 I did write only 3 posts about today’s elections, in a rather diffident mood I would say. I was careful not to bring hopes into anyone, but also articulating a case that not taking part in these elections would be worse than boycotting them. Thus I am proven right. More right than I thought actually since the introductory paragraph of the last post explains tonight perfectly. The regime has simply decided to act nakedly as a dictatorship, even if many countries warned the regime that they knew it would commit fraud. Extraordinary corruption has eventually turned Venezuela into a narco-state. Those in charge, for lack of a better word, are so compromised that there is no way they can surrender power through elections or any other action because they know that jail, or worse, is in their future as soon as the dozens of body guards paid by the state are removed from around them. This is a camarilla that cannot leave the country anymore, so entrenching at all costs is the word. If you do not understand the text above, then you understand nothing about Venezuela. This being said let's try a few comments on the current situation. So there we are, a new vote next Sunday. And yours truly has no interest in it, no desire to speculate on results, no clear idea of what would constitute a victory for either camp. So, during this lunch break I gather the courage to follow the tradition of this blog and write a political post for the governor elections next Sunday. Read at your own risk. Lots of things going on. One, a couple of weeks ago was a trip to Valencia.